Khosla Ka Ghosla is a 2006 Indian Hindi-language comedy drama film directed by Dibakar Banerjee in his directorial debut. It stars Anupam Kher and Boman Irani. The film is written by Jaideep Sahni, who had previously written Company (2002) and Chak De! 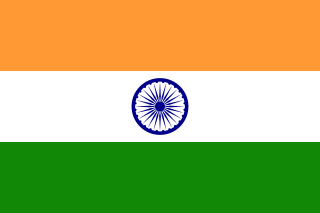 India (2007). Though made on a small budget, the film managed to do well at the box office. It won the National Film Award for Best Feature Film in Hindi for 2006. It was remade into Tamil in 2008 as Poi Solla Porom. Bheja Fry is an Indian Hindi language comedy film directed by Sagar Ballary and produced by Sunil Doshi. The film stars Rajat Kapoor, Vinay Pathak, Sarika, Milind Soman and Ranvir Shorey in lead roles. It released on 13 April 2007, and received favourable reviews from critics. Though made on a small budget, the film managed to do very well at the box office. This film was based on the French movie Le Dîner de Cons. The 2010 Hollywood film Dinner for Schmucks was also based on the same French film. It is the first installment of Bheja Fry trilogy. Pathak was born in Bhojpur district, Bihar, India. He attended the boarding school Vikas Vidyalaya, Ranchi until 1982. After graduating from Allahabad University he moved to USA for higher studies. Bhojpur district is one of the thirty-eight districts of Bihar state in northern India. Arrah town is the administrative headquarters of this district. Bhojpur district came into existence in 1972. Earlier it was the part of Shahabad district. While studying at State University of New York at Stony Brook Pathak had many acting roles, notably in the comedies Khosla Ka Ghosla and Bheja Fry . In 1999, he played the role of Vinny in the television series Hip Hip Hurray . He also produced the film Dasvidaniya , which told the story of a common man bidding farewell before dying. 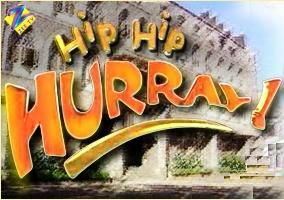 Hip Hip Hurray is an Indian television series created and directed by Nupur Asthana that first aired on Zee TV channel from 21 August 1998 to 25 May 2001. Dasvidaniya (दसविदानिया) is a Bollywood comedy-drama film released on 7 November 2008. The name of the movie is a pun on the list of ten things to be done before death made by Vinay Pathak, and is a play on the Russian phrase до свидания, meaning good bye. Along with good friend Ranvir Shorey, he anchored the show OYE. Together they hosted the talk show Ranvir Vinay Aur Kaun? . , as well as House Arrest, Duniya Goal Hain and Cricket Crazy. He also teamed up with his friends Ranvir, Suresh Menon, and Gaurav Gera to be a part of a gag-based show The Great Indian Comedy Show . Ranvir Vinay Aur Kaun? is a Hindi talk show that aired on STAR One. Hosted by Vinay Pathak and Ranvir Shorey, the show regularly featured celebrity guests and comedy gags. The show, which was launched on 6 August 2007, ran for 52 episodes and ended on 1 November 2007. Suresh Menon is an Indian actor, comedian and television personality. Pathak starred in a minor role as Inspector Gurpal Badash in a made-for-TV movie Murder Unveiled (2005), featuring the Sikh community in Canada. Murder Unveiled is a 2005 Canadian television film. The movie is based on the true story of the Jaswinder Kaur Sidhu murder. The film was screened at the Asian Festival of First Films on November 26, 2005 and was first aired on CBC on February 6, 2006. Pathak acted in the movies Johnny Gaddaar , Aaja Nachle , Khoya Khoya Chand and Rab Ne Bana Di Jodi . Johnny Gaddaar is a 2007 Indian neo-noir thriller film written and directed by Sriram Raghavan, produced under the banner Adlabs. It stars Neil Nitin Mukesh, in his film debut, alongside Dharmendra, Zakir Hussain, Rimi Sen, Vinay Pathak, Govind Namdeo, Dayanand Shetty and Ashwini Kalsekar. The film received critical acclaim., went on to be 'sleeper hit' of the year. The film was later remade in Malayalam as Unnam, in Telugu as Kamina and in Tamil as Johnny. Aaja Nachle is a 2007 Hindi dance film produced by Aditya Chopra and directed by Anil Mehta. It was released in India and the United States on 30 November 2007. The film stars Madhuri Dixit in her first film after five years, alongside Konkona Sen Sharma, Jugal Hansraj, Akshaye Khanna, and Kunal Kapoor in pivotal roles. The film opened to mixed reviews and was declared a flop by Box Office India. Khoya Khoya Chand, is an Indian Hindi film directed by Sudhir Mishra which released on 7 December 2007. The film stars Shiney Ahuja and Soha Ali Khan in the lead roles with Rajat Kapoor, Sushmita Mukherjee, Sonya Jehan and Vinay Pathak in important roles. The film captures the lifestyle of celebrities with aplomb with the 1950s film industry as its backdrop. His next film produced by Pritish Nandy Communications Raat Gayi Baat Gayi, was released in India in December 2009. His was in the film Antardwand . Vinay Pathak is married to Sonika Sahay. The couple have 2 daughters Vasudha and Sharinee. Sudhir Mishra is an Indian film director and screenwriter known for directing films including Hazaaron Khwaishein Aisi, Dharavi and Chameli. Raat Gayi, Baat Gayi? is a 2009 Bollywood film written and directed by Saurabh Shukla. The film features Rajat Kapoor, Vinay Pathak, Neha Dhupia, Iravati Harshe and Anu Menon in leading roles. Jaideep Sahni is an Indian screenwriter, songwriter and creative producer, who wrote the screenplays for films like Chak De! India, Khosla Ka Ghosla, Company, Bunty Aur Babli and Rocket Singh: Salesman of the Year. Bheja Fry 2 is an Indian comedy film released on 17 June 2011. It is the sequel to the 2007 low budget but successful film Bheja Fry, and the second installment of Bheja Fry trilogy. The Producers Guild Film Award for Best Actor in a Comic Role is given by the producers of the film and television guild as part of its annual award ceremony for Hindi films, to recognise an actor who has delivered an outstanding performance in a comic role. While the official awards ceremony started in 2004, this category was first introduced four years later. Harsh Chhaya is an Indian television and Bollywood film actor. He debuted in a minor role as"Jijo" in the early 1990s Zee TV series Tara, but first came into prominence in the role of Krishnakant Trivedi (KT) in mid 1990s TV series Hasratein, where he portrayed the character of a wealthy boss who exploited his married employee (Savi) into an extramarital affair with him. Chhaya somewhat developed the on-screen image of a wealthy boss and played the similar character in the 2007 Bollywood film Laaga Chunari Mein Daag, where he takes advantage of his employee, played by Rani Mukerji. Bheja Fry is a series of Indian comedy films written and directed by Sagar Ballary and starring Vinay Pathak. The Film Emotional Atyachar is a 2010 black comedy film, directed by Akshay Shere and produced by Vijay Gutte. It stars Ranvir Shorey, Mohit Ahlawat, Kalki Koechlin and Ravi Kishan in the lead roles along with Vinay Pathak, Snehal Dabi, Abhimanyu Singh, Sakshi Gulati and Shubha Khote. Life Ki Toh Lag Gayi is a 2012 Indian comedy action film directed and produced by Rakesh Mehta, featuring Kay Kay Menon, Ranvir Shorey and Neha Bhasin in the lead roles. The film was released on 27 April 2012 in India. Rushad Rana is an Indian television actor. He has done many roles in various Hindi television shows and some Bollywood films as well. He played the role of "Sumit Kapoor" in Sasural Simar Ka. Finally, "Sumit Kapoor" died in the show and Rushad left the show. Karan Tacker is an Indian actor, model and host known for his portrayal of Viren Singh Vadhera in Star Plus's Ek Hazaaron Mein Meri Behna Hai and for participating in Colors TV's Jhalak Dikhhla Jaa 7. Rajesh Jais an alumnus from National School Of Drama and An Honorary Doctorate in performing arts, is an Indian actor, known for Rab Ne Bana Di Jodi (2008), Rocket Singh (2009), Airlift (film) (2016), Raazi (2018). ↑ "My popular image restricts filmmakers, not me: Vinay Pathak". The Indian Express. 2015-07-22. Retrieved 2018-02-10. ↑ "Vinay Pathak ready to show you the funny in Island City". CatchNews.com. Retrieved 2018-02-10.